If you're looking for any sort of numbers regarding BlackBerry PlayBook sales then you should be looking in the direction Mike Abramsky, General Manager at RBC Capital Markets. According to Abramsky, RIM has sold approximately 250,000 units since it's retail launch back on April 19. If these numbers are in anyway accurate that means the BlackBerry PlayBook has had faster adoption then that of the Motorola Xoom and if sales continue as estimated by Abramsky, then RIM will have sold 500,000 PlayBooks in the first quarter and a total of 3 million units in 2011. 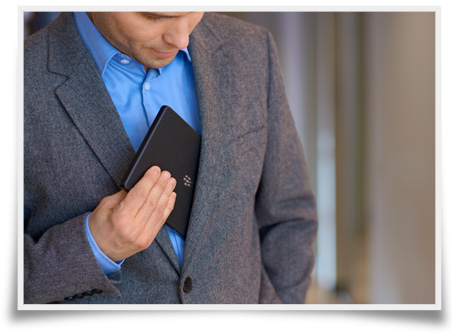 So what does all this mean for BlackBerry PlayBook buyers, owners? Well first off, you're proving all the pundits wrong -- people REALLY do want a 7" tablet and the numbers are proving it. Secondly, despite all the harsh reviews and lame comments about a power button that many folks don't even use -- RIM is doing just fine with the BlackBerry PlayBook. And finally, we can all look forward to more developers hopping on board to work on the BlackBerry PlayBook and help make the BlackBerry eco system better as a whole. Even if the numbers here are little off, as they often times can be -- that doesn't take away from the fact the outlook for the BlackBerry PlayBook and RIM has now changed if, only even slightly. Realistically, I'm not a numbers guy -- nor do I pretend to be but I do know the potential is there for RIM to make even greater penetration in the tablet space. They've got a good run out of the gates, and now they need to keep that momentum going.